Late this week because of the Great Easter Binge-a-Thon, but we have the TV Week That Was coming up during Monday Night Raw- which is, of course, on the road to Wrestlemania. This week sees the WWE Hall of Fame on Friday, NXT Takeover on Saturday and 7 hours of Wrestlemania on Sunday. One of my favorite YouTube shows has been Movie Fights and this past Thursday, the show re-rebooted themselves. They changed the format back to three fighters from the two that they had been doing recently. They also brought back the main thing that the internet wanted to complain about… CHAIRS!!!! Yes, the fighters could sit down this week. 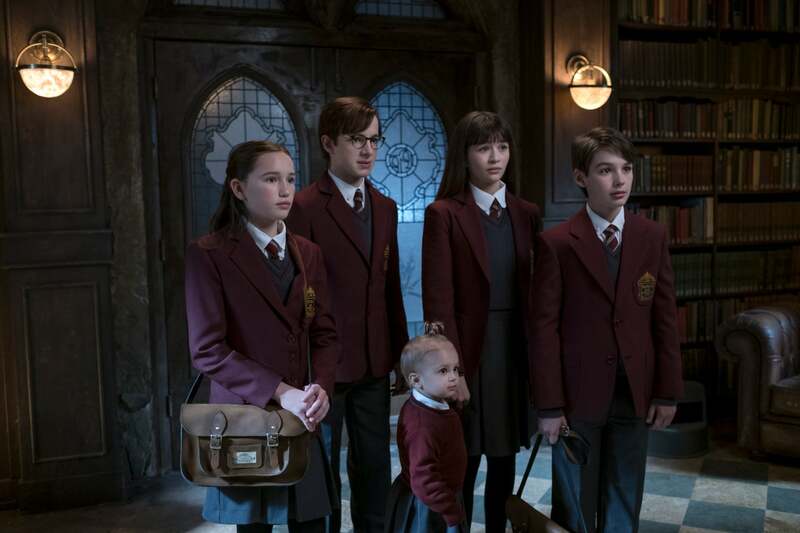 I was truly surprised this weekend as I was doing the Great Easter Binge-a-Thon and going to Netflix and I saw that season two of A Series of Unfortunate Events dropped. I could not believe it! On a weekend packed full of viewing, I could not binge another show. I have been able to watch three episodes so far and I have to say that I am finding it irritating. I do enjoy Neil Patrick Harris’s over-the-top performance as Count Olaf, but it is becoming annoying at some of these rotten adult characters. There were so many characters that I hated in the first two episodes that I almost wanted to stop watching. Not only are there cruel adults, but the constant stupidity shown as NOBODY ever recognizes Olaf… that needs to change up a bit or else the show is in danger of becoming too formulaic. I do like the addition of Nathan Fillion to the cast though and the Quagmire triples too. The other show on Netflix is Santa Clarita Diet. I finished the last half of those episodes today and I really loved them. I think that series is brilliant and it features perhaps the best husband and wife relationship on television. The show is laugh out loud funny and clever. Timothy Olyphant is a hoot and a half as Joel. I think his dialogue is one of the highlights of the show. I also think Liv Hewson is tremendous as the daughter Abby and has a really sweet chemistry with neighbor and friend Eric. Plus, Nathan Fillion returned as a severed head as a huge scene stealer. This one is great if you have not seen it, please do it. Ash vs. the Evil Dead continues to be one of the best shows on television. This week’s episode saw a monumental battle between Kelly and Ruby where Kelly wound up dead on the floor. Then, Kelly is used as a vessel for one of the demon buddies of Ruby. All the while, Ash was dealing with a dual headed creature from through the rift found in the basement of the Ashy Slashy Hardware Store. 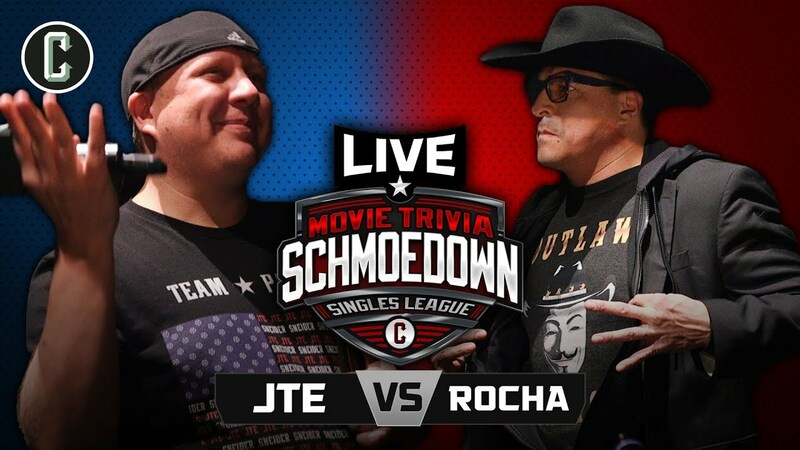 The Movie Trivia Schmoedown this week showed us the matches that they recorded live on their special Live Schmoedown. First on Tuesday, we saw the Reel Rejects lose to the Wildberries. Then on Friday, we got the “Outlaw” John Rocha defeat “Little Evil” JTE. Rocha was very strong in his match and showed that he was not yet done. At the end of the match, Rocha insinuated that he would be reforming the 4 Horsemen. 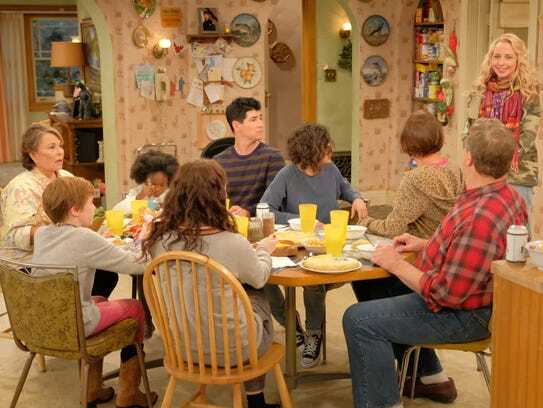 Oh, I also watched the debut of Roseanne this week and I was pretty disappointed with it. I just did not think that it was that funny. I always enjoyed the show back in the day, so I was disappointed with the reboot. I do plan on giving it a few more episodes to see if they can capture the old magic, but the acting seemed off, even for those great stars John Goodman and Oscar nominated Laurie Metcalf. Happy viewing on the Road to Wrestlemania!